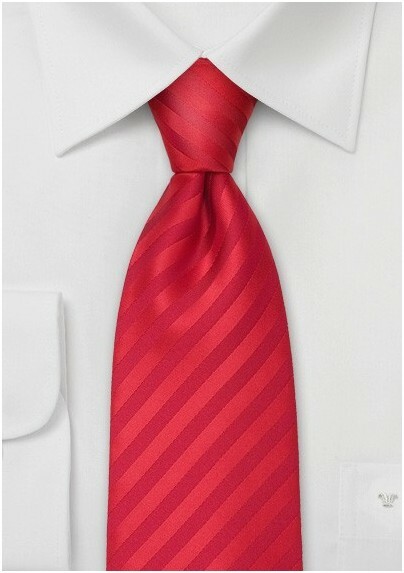 Are you above 6 foot 3 inches and have been searching for a bright red "power tie"? Then this extra long necktie by Puccini will be perfect. The bright red color is complimented with a striped design. 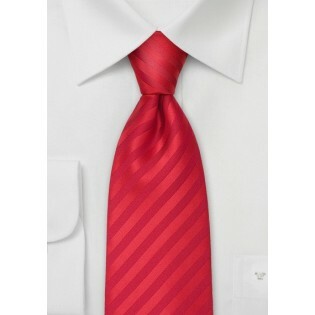 This tie looks excellent with a white shirt and all classic suit colors and patterns. Our extra long ties are 4-5 inches longer then a normal sized necktie and best for tall men as well as men with a larger neck size. This tie is 62 inches long and will be right for guys above 6 foot 3 inches.